Leafy Green and Cruciferous Vegetables – Spinach, lettuce, cabbage, cauliflower, broccoli, Brussels sprouts and options as such can be mentioned as the first inclusion in the list of foods that boost energy while assisting weight loss. These foods not only contain a super dose of essential vitamins, minerals and nutrients, they also contain very little calories. Fruits – Fruits like avocados, apples, grapefruit etc are packed with a burst of essential nutrients while delivering very little calories to your system. These can in fact, form the best of snacks to keep your weight in check while not losing out on energy. Grains, legumes, oats – Beans and lentils can be your best friend if you only know how much to eat and how to cook these protein packed food options. These power packed foods are full of energy while releasing proteins into your system slowly and steadily keeping you full for long enough to not crave for sugary snacks. Lean proteins – A slab of seasoned salmon, a smoked chicken breast and a hardboiled egg… there is nothing better for your health that these amazing options of no-nonsense proteins. With very little fat and brimming with energy, increasing the amount of these lean protein options is usually suggested by nutritionists when it comes to shedding weight in a healthy way; a way in which you don’t look 15 years older with sagging and wrinkled skin but shining with a burst of health and energy. 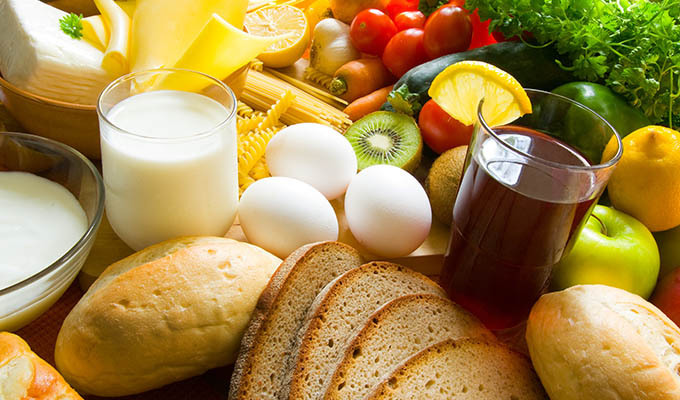 Probiotic Foods – Probiotic foods increase the number of good bacteria in the gut which go on to improve the functioning of the GI system while inhibiting bloating and certain metabolic syndromes. Yogurt is the most popular probiotic food that is available easily almost anywhere in the world. It has also been witnessed though a number of researches that yogurt plays a part in cutting down stomach fat. Seeds – Seeds like pumpkin seeds, quinoa etc are power packed with nutrition and energy while not adding up as far as calories are concerned. These seeds can be fixed in thousands of different ways to make quick and easy snacking options that are healthy and fat resistant at the same time. Tea – While talking about weight loss and energy, mention has to be made of tea. Whether in its usual rich red liquor or the classic green, tea has always got something to offer in favor of health. While adding as little as 0 to 3 calories per cup (without sugar, milk and / or cream) it tends to refresh your system by eliminating toxins from your body.